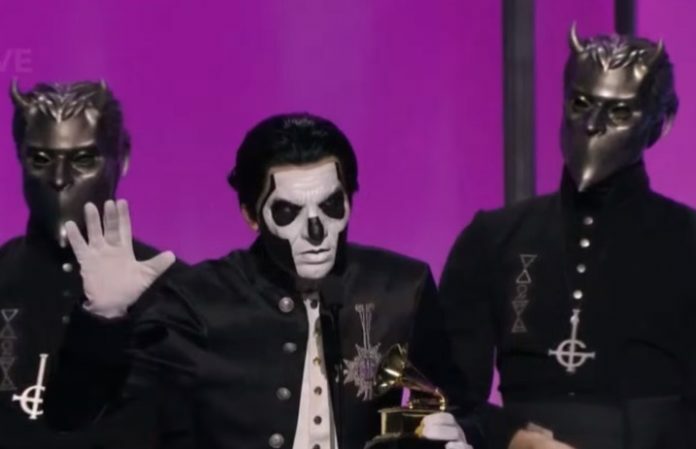 Last night, Ghost won a Grammy for Best Metal Performance, beating out August Burns Red, Slipknot, Lamb Of God and Sevendust. Their acceptance speech was, well, not exactly conventional. You can check it out for yourself below. Be sure to leave us a comment with your thoughts.